Halloween is supposed to be a fun time for kids, when they get to dress up, go trick or treating, receive candy and simply have a good time. However, the world is growing increasingly dangerous. As a result, many parents need to worry about ensuring the safety of their children on a night that should be all about fun. Fortunately, there are some tips that can help you keep your children safe while still allowing them to enjoy the night. One of the most important things that you can do is set strict rules and ensure that your children are well aware of them. Do this before you allow them to go out for the night. If your kids are older, you can set a time for them to come home that is agreed upon by all parties involved. This is a good start to keeping your kids safe, but it’s by no means the only thing that you can do. As a parent, it’s important that you empower your children to watch out for themselves. Teach them to look out for potentially unsafe situations. Help them understand that they need to stay in their neighborhood and only go to the houses of people that they know while they are trick or treating. If you have especially young children, go with them on their adventure. At the very least, you should send them with an older child or another trusted family member. Whatever you do, never send them out on their own when they are very young. 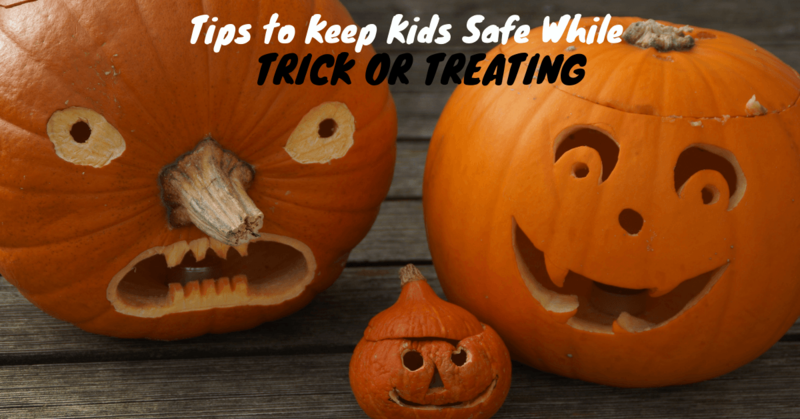 If there is a community, church or school that is sponsoring its own type of trick or treating activities, you might decide that this is a safer option than trick or treating throughout the neighborhood. Finally, once your children are back home, carefully examine all of the candy they received. Throw away anything that looks like it was opened and rewrapped, as well as anything that is homemade. You only want to give your children the treats that have been tightly wrapped and sealed from a factory. If it looks suspicious, assume that it is so and throw it away. It might feel as if you are overprotective to take these steps when all that your children really want to do is go out and have fun. However, by following these guidelines, you can allow everyone to enjoy themselves and stay safe at the same time.